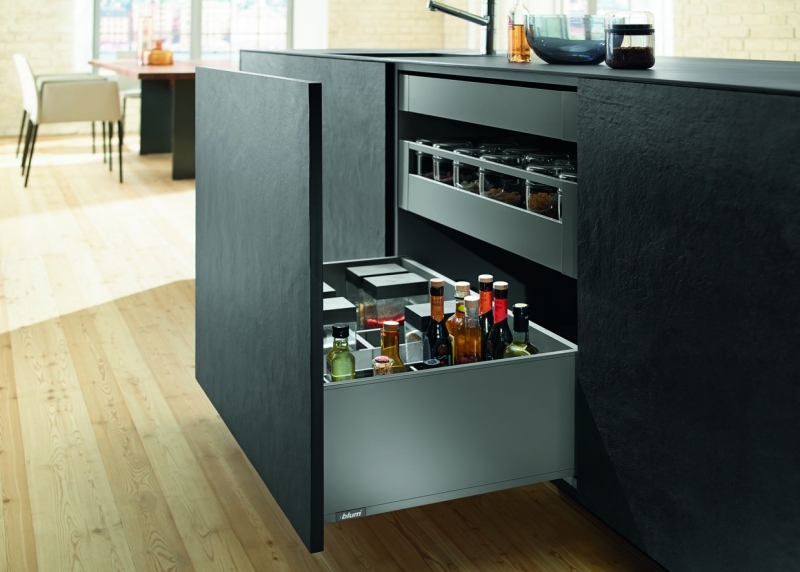 The inner dividing system AMBIA-LINE stands out on account of its slim, minimalist design and diverse setting options. 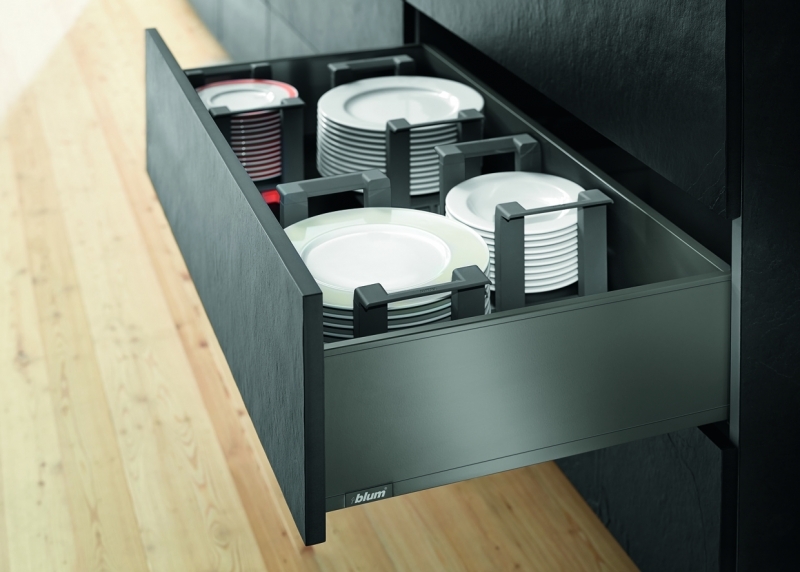 The frames are designed to fit the LEGRABOX drawer system and ensures perfect organisation for any living area. 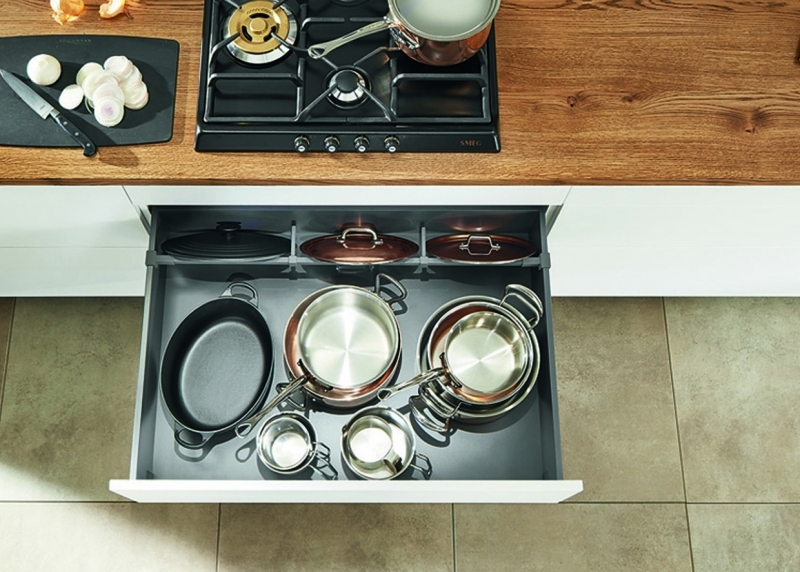 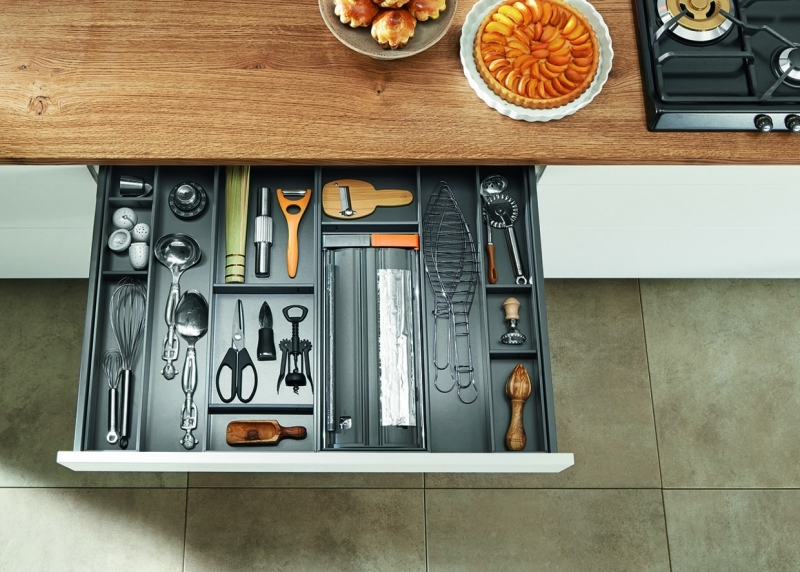 The unique AMBIA-LINE cutlery tray has a soft touch base with a steel frame in Orion Grey or Nebraska Oak finish to match both INOX and Orion Grey drawers.